The River Wye at the bottom of the hill from the centre provides the perfect location for paddling. 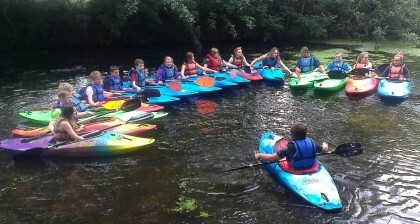 Whether trying Canoeing or Kayaking for the first time or practicing skills that you already have, the River Wye provides a great full or half day activity. Sessions can be tailored for all abilities and all safety equipment is provided. Learning outcomes include: communication, skill development, team work, health/fitness and confidence building.